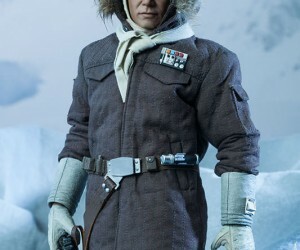 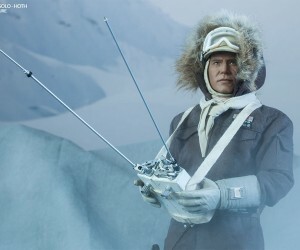 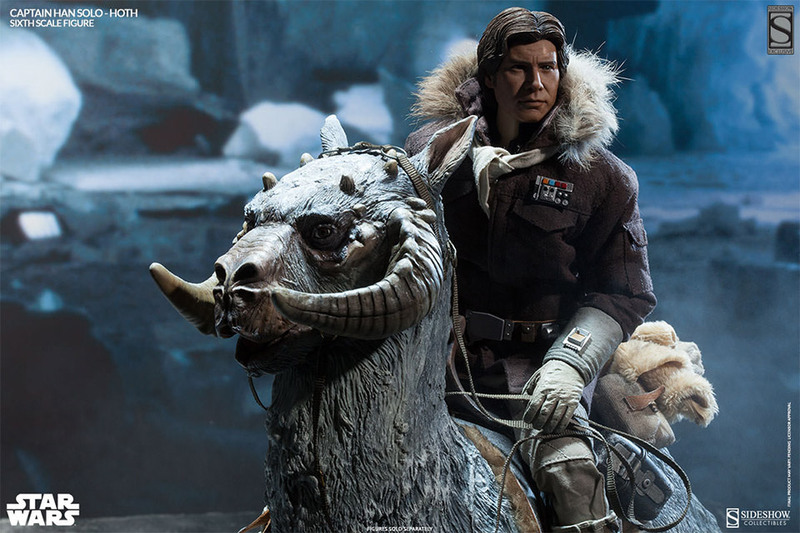 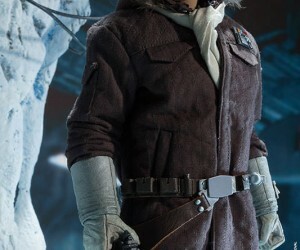 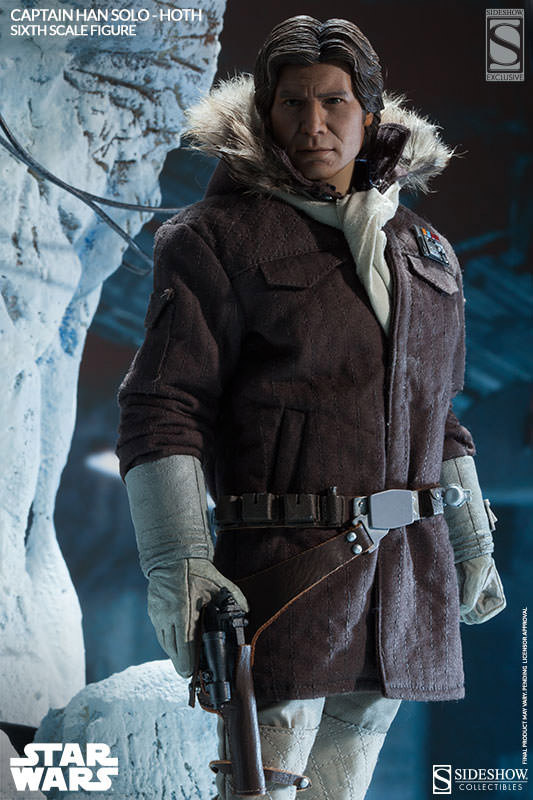 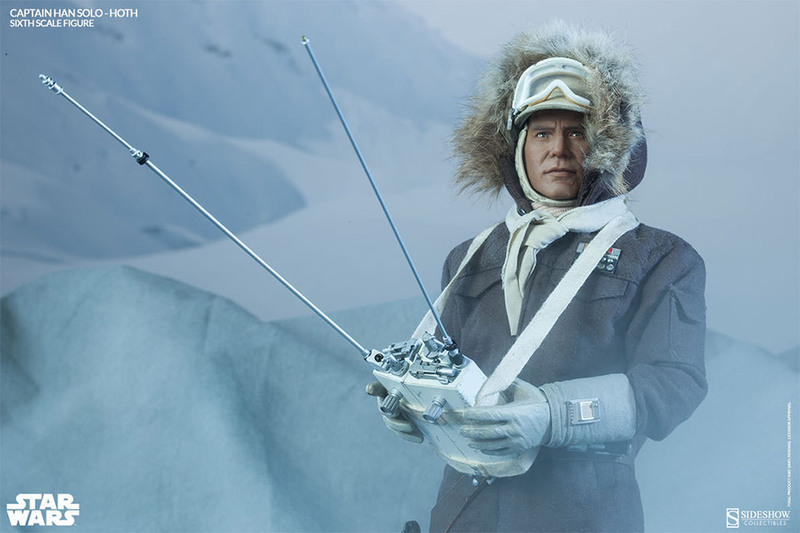 Relive your favorite frozen ice-planet scenes from Star Wars Episode V, The Empire Strikes Back with this awesome 1/6 scale collectible Captain Han Solo from Sideshow Collectibles. 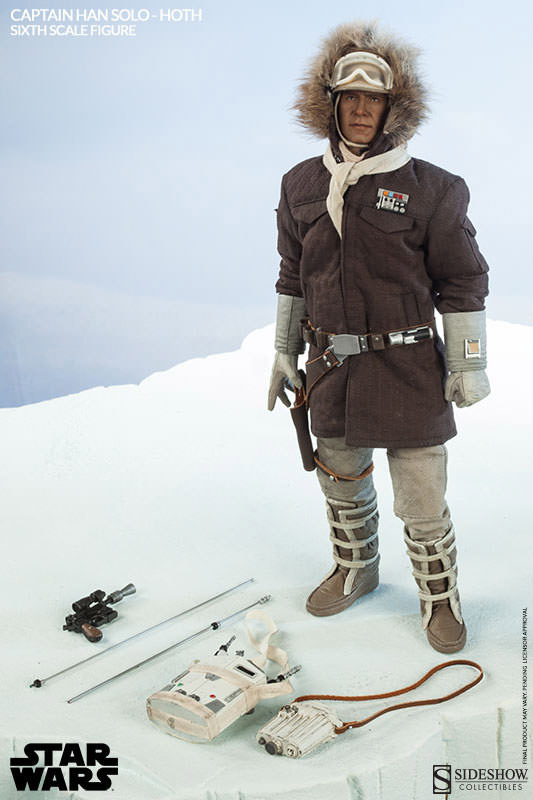 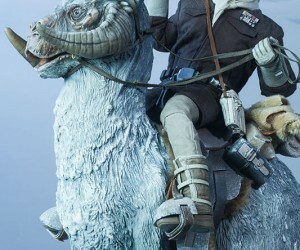 Although the tauntaun’s not included, the figure comes with a blaster pistol, macrobinoculars, droid caller, and portable life scanner. 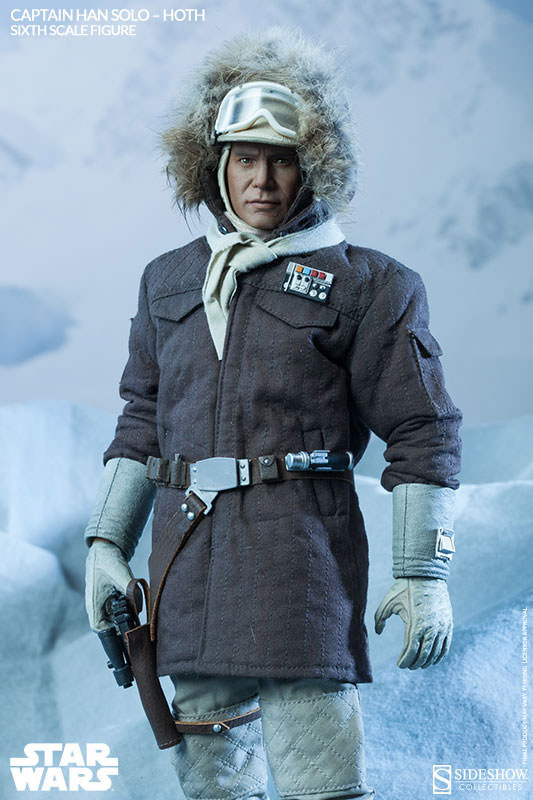 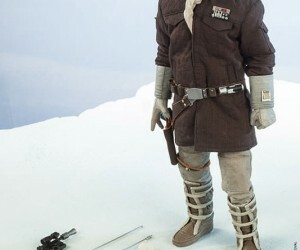 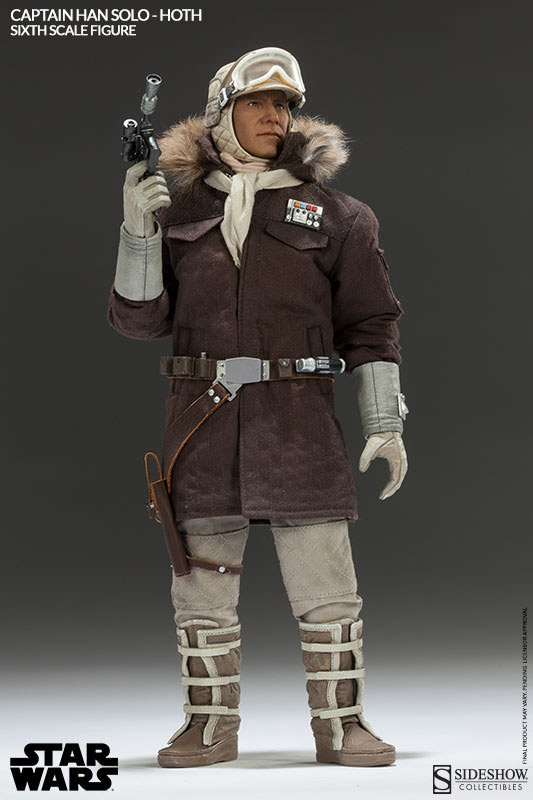 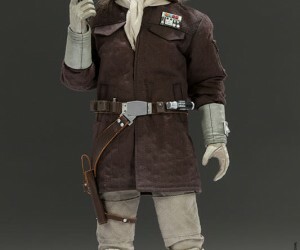 And Han Solo is fitted in an authentically replicated brown quilted parka, complete with rank insignia and fur-trimmed hood. 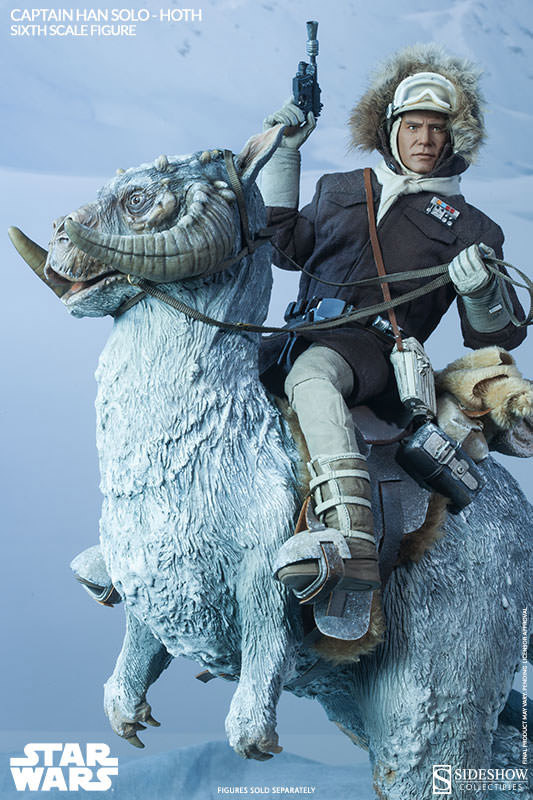 Frankly, we’d get the Imperial Probe Droid along with this for loads of fun in the snow.